COMSTOCK PARK, Mich. - Right-hander Brad Bass extended his dominance over the Loons, and the West Michigan Whitecaps blanked Great Lakes 6-0 to take a one-game lead in a best-of-three playoff series to begin postseason play on Wednesday night at Fifth Third Ballpark. Rain delayed first pitch by one hour and 37 minutes, but did nothing to disrupt Bass's rhythm on the mound: the product out of Notre Dame threw seven shutout innings with six hits, zero walks and seven strikeouts. Over 36 innings against the Loons this season, including the playoffs, Bass has allowed seven earned runs (1.75 E.R.A.) with 37 strikeouts and 10 walks. The Loons' starter, 19-year-old Gerardo Carrillo, could not match Bass's effectiveness Wednesday night. Carrillo, a right-hander, mastered West Michigan on August 25 to the tune of seven scoreless frames, but could not locate the strike zone consistently in the playoff opener. 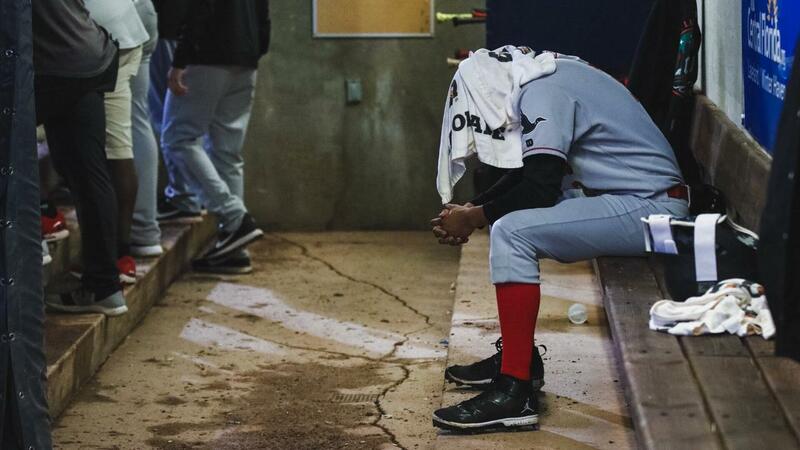 While Carrillo pitched into the sixth inning, he allowed seven hits, three walks and hit a batter; he also threw a wild pitch, balked and committed a throwing error in the first inning that allowed West Michigan to score its first run of the game. Poor defense hurt the Loons again in the fourth inning with runners on second and third and nobody out. A sacrifice fly by Eric De La Rosa scored a run, and when first baseman Devin Mann cut off the relay throw from center and threw the ball away to third, a second run crossed home to make the score 3-0. The decisive blow came in the sixth inning. Nine-hole-hitter Chris Proctor barreled a ball into the right-center field gap with the bases loaded and cleared the bases to make the score 6-0. It was the final batter of the night for Carrillo. 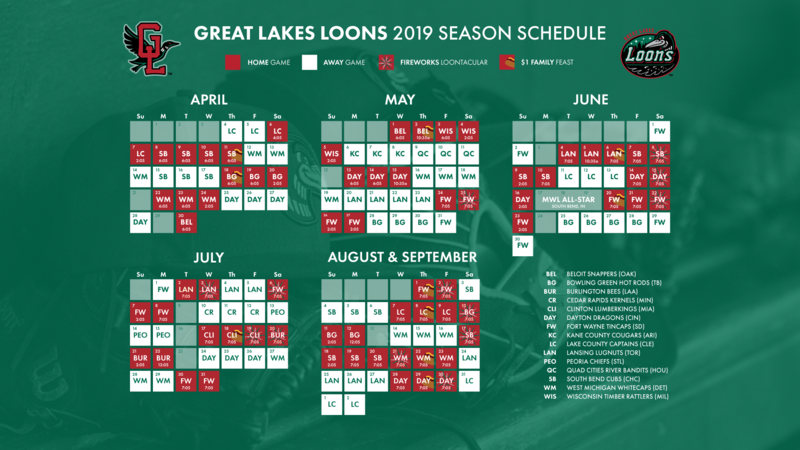 Now facing elimination, the Loons return to Dow Diamond for game two of the first round on Thursday night. Left-hander John Rooney, the Dodgers' third-round selection, takes the ball for the Loons against righty Wilkel Hernandez of West Michigan. First pitch is at 7:05 p.m. EDT and pregame coverage begins at 6:35 p.m. on ESPN 100.9-FM.